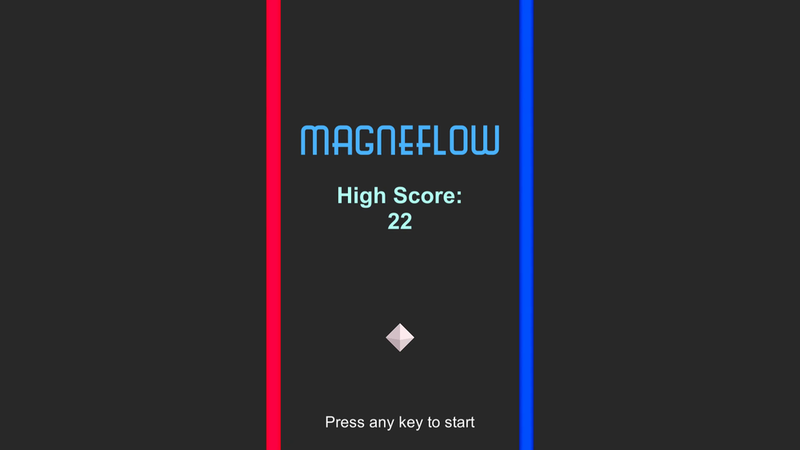 Magneflow is an endless run game based on the simple rules of magnetism. Players must avoid obstacles and try to get as high a score as they can. I developed Magneflow in March 2018 within a week. When I work on a game idea it can at times turn from something very simple into something big; with this game I wanted to challenge myself to choose a concept and then develop simple gameplay around that concept. With that in mind, I thought about the concept of magnetism and developed this game. I'm fairly pleased with the results. There is more that can definitely be done to affect interest curve as well as giving more "juicy feedback" to the player. For anyone who is interested, you can download both the PC and Android versions below. Included in each zip file is a readme document which explains the controls and goals of the game. A peculiar soul with a passion for creating games, digital content and spreading the importance of having and pursuing one's dreams. An aspiring game designer and content creator, with a great desire to improve my skill set and expand my life experiences, all while eating a lot of delicious food.